Actual built-up car (test) kit shown. 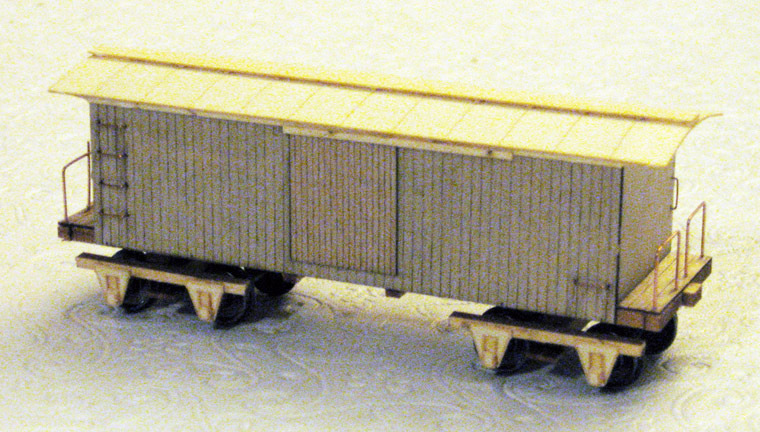 Trucks included but no wheelsets. Couplers not included. Not a lot of information exists on this car. You can see two of its type in the photo below, taken in South Norwalk Connecticut sometime in the 1870's. 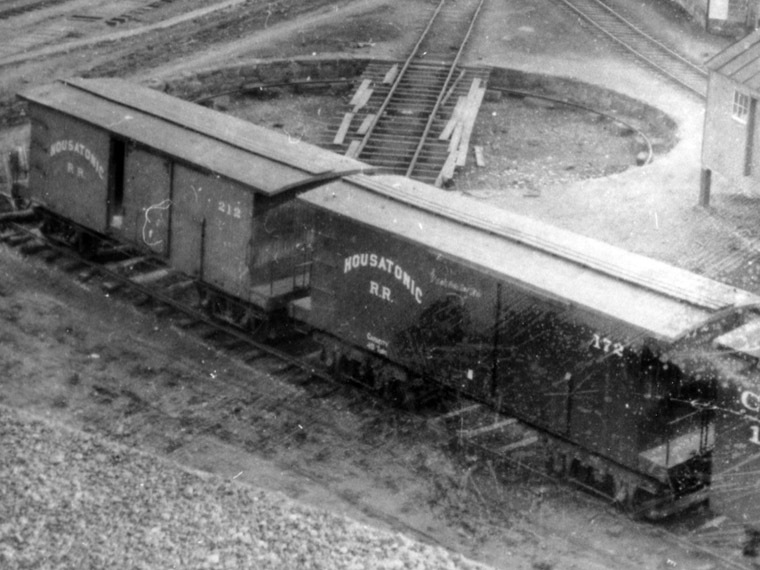 There is another photo in Swanberg's book New Haven Power of a similar boxcar wearing New Haven paint, probably in the early 1890's. · Several additional details are provided, including a vertical brake wheel and stand, turnbuckles, and brass wire for truss rods, all from Tichy Train Group. · The stake sides included are cast to be taller than the as-built version, so the car can represent a somewhat later version with higher carrying capacity. The extra board can be easily cut off with a hobby knife to represent the as-built 1879 version. · Skill level 2 – This model should be easily built by someone with some experience building wood kits., and present a slight challenge to the novice.